After catching a virus that has had me out of circulation for the past two weeks, I realised its the little things that can brighten your day and inspire the will to live. While still sick and dying, I managed to graduate to being the household nurse simultaneously. If you are a parent.... you know it well. You may laugh, but for me survival... perhaps of my sanity, came from continuously cleaning and airing out the house of that germ feeling as well as a beautifully styled sick bed. I took great pride in laying out my daughters sick bed each day... lets face it... there wasn't much else to look forward too. Here is my essential sick kit... to mask the hideousness of the winter virus!! The luxury sick bed makeover!! Fresh crisp pillow, Aloe vera tissues, Side table, waste bin and tidy medical caddy for sanitiser, lozenges, pain relief and Burns Bees, all a bargain from Kmart. A "keep Cup" brand glass with lemon water from Farros. 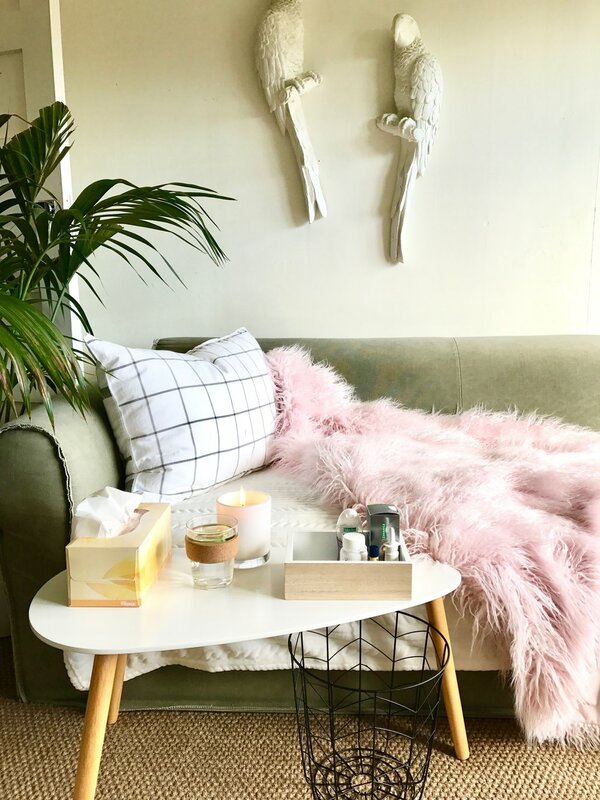 The Aromatherapy Co candle, and a luxurious pink faux fur blanket from Farmers. Makes sickness nearly bearable!! My favourite way to keep hydrated without dying of boredom is with lemon and ginger water with a slice of cucumber!! The Aromatherapy Company candles are super economical... when you are dealing with sickness for two weeks, you are going to need some serious air freshening hours. 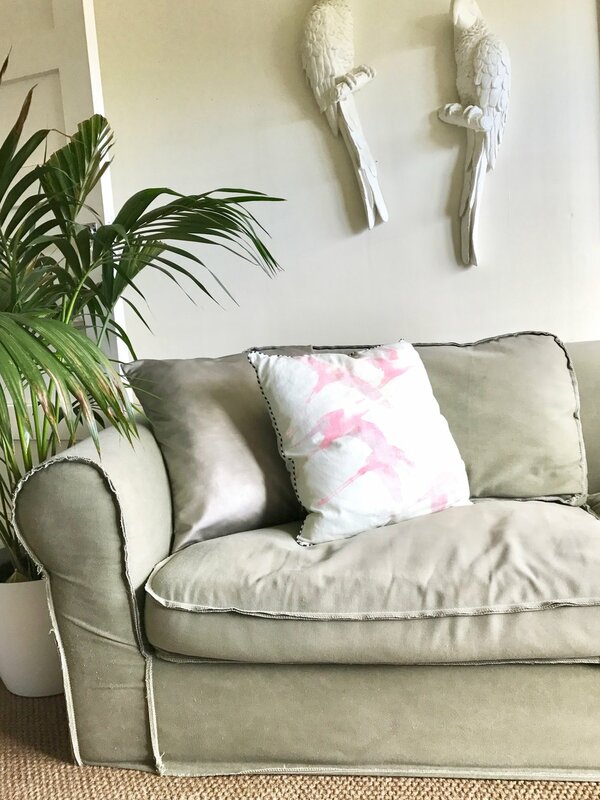 This "Forest" scent with Evergreen and Freesia claims to create the sensation of being cradled in the heart of the forest... Its a big claim to be honest... but it did make my lounge room sparkling and crisp for a fantastic price of $39 and approx 70 hours of burn time!